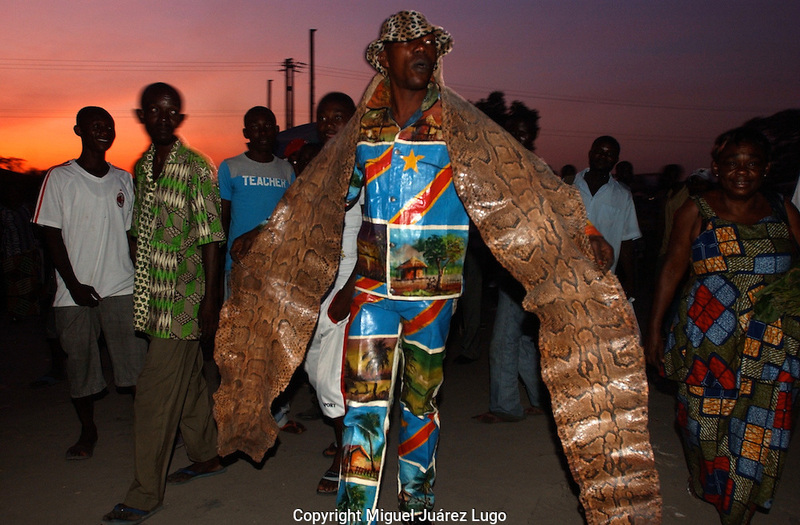 Papa Griffe, a leading sapeur and singer in the Congolese capital of Kinshasa, is attempting to transform himself into the next Niarkos, one of Congo's legendary rumba singers and sapeurs. As he walked through the dirt-paths of his Kinshasa neighborhood, street boys yelled out: "Papa Griffe! He's a son of Europe! He's an apostle!" (PHOTO: MIGUEL JUAREZ LUGO).